Once the transaction is complete, we can stop worrying about Vivendi siphoning funds from the publisher. 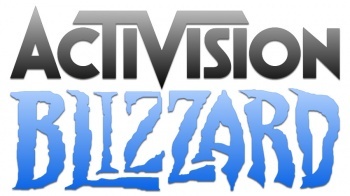 In a surprise move that is no doubt in response to the possibility of being squeezed for billions, Activision Blizzard announced a plan to buy back approximately 429 million shares from parent company Vivendi for $5.83 billion. When the transaction is complete Vivendi will no longer own the videogame publishing giant and its majority stock will be owned by public shareholders. CEO Bobby Kotick and Co-Chairman Brian Kelly will separately purchase approximately 172 million shares for $2.34 billion in cash, or $13.60 per share. When it becomes independent, the company will be led by Bobby Kotick as Chief Executive Officer and Brian Kelly as Chairman. Vivendi will no longer be the majority shareholder, but will retain a stake of 83 million shares or approximately 12%. In an official statement, Kotick said, "These transactions together represent a tremendous opportunity for Activision Blizzard and all its shareholders, including Vivendi. We should emerge even stronger--an independent company with a best-in-class franchise portfolio and the focus and flexibility to drive long-term shareholder value and expand our leadership position as one of the world's most important entertainment companies." "The transactions announced today will allow us to take advantage of attractive financing markets while still retaining more than $3 billion cash on hand to preserve financial stability," he added. Earlier this month, a rule that required Vivendi to get permission from Activision Blizzard's directors to siphon funds from the company expired, and given Vivendi's dire financial situation, there was a very real fear that the multinational would squeeze Activision Blizzard for billions of dollars.